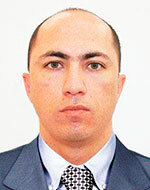 On July 18, 2017 Cabinet of Ministers of the Republic of Uzbekistan adopted the Resolution 515 on the organization of the activity of the State Inspectorate for quality control of education under the Cabinet of Ministers of the Republic of Uzbekistan" based on the requirements of the Laws of the Republic of Uzbekistan "On Education" and "On the National Program of Personnel Training" and the Decree of the President of the Republic of Uzbekistan "On the Further Development of Higher Education System" on April 20, 2017 PD-2909. The Decree makes provisions on measures to improve the quality of education in accordance with the requirements of socio-economic reforms. Moreover, further improvements of the quality in the system of continuous education for the purpose of implementation of the state policy in the field of control over the quality of training and impartial assessment of the effectiveness of the educational process are reviewed. In the Paragraph 14 of the Decree the establishment of departments for quality assurance in all higher education institutions of the Republic was stipulated. According to above decision, the Department of control over the quality of education has been established at the University of World Economy and Diplomacy. The main purpose of the department is to develop and implement a mechanism to improve the quality of education, coordinate and conduct work on improving the university's national and international rankings, improve the quality of education at the university and its structures. Control over the quality of education is an integral part of the university's management system. The main task of the department is to ensure the conformity of the quality of education with state educational standards, and to carry out organizational work, as well as to monitor the quality control of education in the system of continuing education. 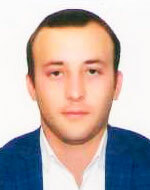 The department is guided by the Constitution of the Republic of Uzbekistan, the Law of the Republic of Uzbekistan "On Education", decrees, resolutions and orders of the President of the Republic of Uzbekistan, decrees and orders of the Cabinet of Ministers, and the instructions of Rector of the university. "Department for Control of the Quality of Education"
Office: Building "A", Room 8.